It’s always a delight to find a new author who respects the traditions of the incomparable Georgette Heyer, and so it is with Jenny Hambly. Heyer afficianados will find echoes of the great lady in the characters, the situations and some of the expressions and cant terms used, and if Hambly doesn’t quite capture Heyer’s sublime touch with sparkling dialogue – well, who does? The premise is that Lady Rosalind Marlowe is the daughter of an earl who died in impoverished circumstances after gambling away his wealth. She sets out to get her revenge on the men who won large sums from him by breaking into their homes and stealing valuable items from them, not for the money but simply to shame them. But on her last venture, she is caught – not by the elderly Earl of Atherton who had been her father’s gambling crony, but by his handsome son George who has recently inherited. Well, we can see where this is going, can’t we? He is surprisingly lenient, not only shielding her from the Bow Street Runner who is hot on her trail, but offering her a post as companion to his newly widowed mother. His motives are not entirely altruistic – he finds her very attractive, and really, the gentlemanly thing to do would be to offer help, but keep himself out of it. But the romance has to get going somehow, so I’m not going to complain at a little implausibility at the start. The Dowager Lady Atherton turns out not to be the traditional dragon, but a charming and very friendly woman, who delights in fostering the budding romance between the two. George has two sisters, both married, and the whole family is a great deal of fun and not at all starchy. I really liked George’s two friends, too, because yes, as in all the best Heyer stories, the hero has a couple of friends to help him into and out of scrapes. It wasn’t clear how they all met (if it was mentioned, I’ve forgotten it), but they seemed an odd bunch. Sir Philip Bray is an ex-soldier, and Lord Preeve is the stammering, gentlemanly, but not terribly bright, comedy turn. What about the plot? Well, after the excitement of Rosalind breaking and entering, being caught, evading the Bow Street Runner and facing up to her captor, the book becomes a less dramatic drawing room affair. Rosalind sets aside her breeches and mask, and becomes a well-behaved lady again. Well, perhaps not totally well-behaved, for she’s not a woman to swoon at a challenge or leave things to the men, and she’s as often doing the rescuing as being rescued. Still, for a while there’s a little less drama and the problems are of a more domestic nature. But of course there’s a villain lurking about the place and getting up to his villainous tricks. This was all suitably thrilling and built to a very satisfactory climax and conclusion. I confess to being a little disappointed that the villain’s motivation was George and not Rosalind. It would have been perfect if Mr Villain had discovered Rosalind’s thievery, and she had learnt that her actions could have serious consequences. Instead, George has to appear to be heartless about Mr V to set things off, which seems out of character in such an otherwise thoroughly nice bloke, and all Rosalind learns from her stealing is that if you get caught, you get whisked off to a country estate and have a very pleasant time. Everything comes right in the end, naturally, and the slightly neglected romance reemerges and reaches its triumphant conclusion, with a delicious proposal and a rather splendid wedding scene. An honourable mention here for a creative use of Pride and Prejudice. So many Regency authors think it’s cute to have the heroine reading Austen, but here the book has an actual role to play in the development of the story, which I thought was very ingenious. Kudos to the author. Overall, I thoroughly enjoyed this. The author’s liking for comma splices took some getting used to, but there were so few other issues that I set it down as authorial style and therefore intentional. 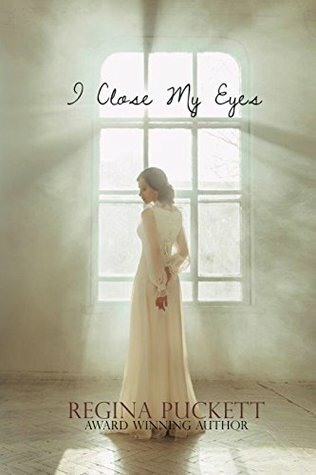 Otherwise, the writing is spot on, with lots of great period detail, Heyer-esque dialogue and an elegant way with description that the author in me greatly admired. A terrific debut, although a few plot issues keep it to four stars. Highly recommended for anyone looking for a clean traditional Regency. I’m now waiting for the next book, which will feature the charming and wise Sir Philip. I picked up this book because it has a beautiful cover, it was in Kindle Unlimited (so no cost to try it out) and the opening intrigued me. The heroine is first seen hiding in a corner of a ballroom with her eyes closed to escape from the world. The hero finds her there and is captivated. So far, so good. But from there things spiral downhill rather quickly. The heroine is hiding because some spiteful rival has tipped a punchbowl over her, for unspecified reasons. So instead of laughing it off or going home to change or plotting her revenge or anything sensible, she hides in a corner. Nobody offers to help her (not even the hero). Instead he stays talking to her behind the potted palm, and when her evil parents accuse him of kissing her and insist that he marries her he… well, he says: oh, all right then. Um, what? So they marry but it has to be unconsummated because reasons. Oh, and did I mention that he’s a duke? And she’s a duke’s daughter? Although it’s hard to tell from the way the author mangles the titles. Then they go off and frolic on a beach in slo-mo and everything is wonderful but then he has to go away because reasons. And somehow, even though they both know where the other one is, they never, ever write to each other. Then a lot of bad stuff happens, because everyone around them is an evil person because… well, they just are, all right? Then I got to the point where he’s going to relinquish his title to his cousin (he’s a duke, the title is his until the day he dies, and that’s all there is to it), and I just gave up and skimmed to the end. 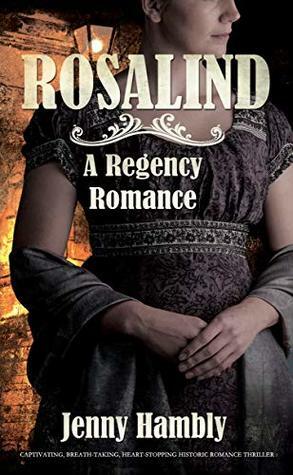 Apparently this book was a finalist in the 2017 Readers’ Favorite Historical Romance Awards, but it would seem that knowing something about the historical period in which the book is set is not a prerequisite. OK, so this book didn’t do it for me. 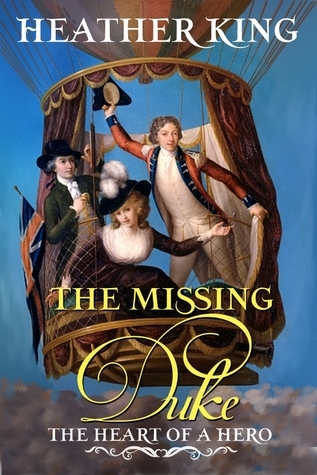 I couldn’t imagine any real people behaving the way these characters do, and especially not in the Regency era or the Victorian era (the book is categorised as belonging to both, another impossibility). However, it’s well-written, the romance is nicely drawn and if you’re not too bothered by historical liberties, it’s a nice read and a little bit different. Be warned though that there are some heart-rending moments for the hero and heroine on their way to their happy ever after. Three stars for an interesting and unusual story, and a great cover.